Buildings — TSi GEOTECHNICAL, INC.
TSi performed a subsurface exploration and geotechnical engineering evaluation for use in the design and construction of the Fulton State Hospital in Fulton, Missouri. 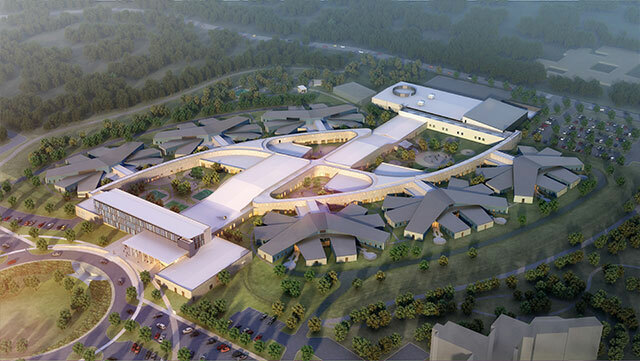 The Hospital will be a new Maximum-Security facility for severely mentally ill patients; a 4-story, 413,000 square foot facility and will feature 300 beds. Estimated completion 12/2017 and $311M total cost. TSi performed site reconnaissance and geologic research, and a drilling program consisting of up to 130 soil borings. Structure borings were drilled to a planned depth of approximately 20 feet each (average), and pavement borings were drilled to a planned depth of approximately 10 feet each (average). TSi performed construction materials testing on fireproofing and additional materials on the addition to the East Medical Building at DePaul Health Center in Bridgeton, Missouri. 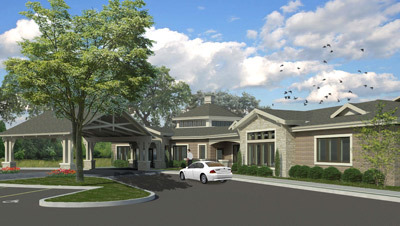 TSi provided material and special inspections services during the construction of the new hospice house building, located at the BJWC Campus, in Creve Coeur, Missouri. TSi testing services included soil, concrete, asphalt and steel materials. The new building will be approximately 19,000 square feet, one-story wood framed, slab-on-grade structure, located at the southwest corner of the Barnes Jewish West Campus. TSi provided material and special inspections services during the construction of the new Radiation Oncology Center, located at the SSM campus at St. Louis University Hospital, in St. Louis, Missouri. TSi testing services included soil, concrete, asphalt and steel materials. The new building will be approximately 19,000 square feet, one-story wood framed, slab-on-grade structure, located at the southwest corner of the SSM Campus. TSi performed a subsurface exploration and geotechnical engineering evaluation for use in the design and construction of the proposed Ferguson Empowerment Center at 9422 West Florissant Avenue in Ferguson, Missouri. The project site is located near the southeastern edge of the intersection at West Florissant Avenue and Northwinds Estates Drive in Ferguson, Missouri. The site previously occupied a former QuikTrip gas station. The proposed building will be one-story, with a footprint of approximately 60 by 140 feet. TSi performed geotechnical engineering and follow up construction materials testing services for Metro's North County Transfer Center, in Ferguson, Missouri. Project involved the rehabilitation of an auto dealership building into a Major Highly Visible Transfer Hub Center and Bus Garage Maintenance Facility. The facility includes passenger amenities of parking, vending, retail space, and a waiting area. The facility also includes a new 70-Bus Service Center building which meets Metro's longer-term need for an additional bus garage including dispatch and full service maintenance capabilities. TSi performed a subsurface exploration and geotechnical engineering evaluation for use in the design and construction of the proposed Ferguson Empowerment Center at 9422 West Florissant Avenue in Ferguson, Missouri. The project site is located near the southeastern edge of the intersection at West Florissant Avenue and Northwinds Estates Drive in Ferguson, Missouri. The site occupied by the former QuikTrip gas station. The proposed building will be one-story, with a footprint of approximately 60 by 140 feet. Client: Stock & Associates, Inc.
including deep fills over a former lake area. the St. Francis Medial Office Building, and the St.
also performed. TSi observed the placement of steel reinforcements and tendons for posttensioned concrete slabs and documented the tensioning of tendons. TSi provided construction observation and testing services for the basketball arena complex for St. Louis University located in mid-town St. Louis, Missouri. 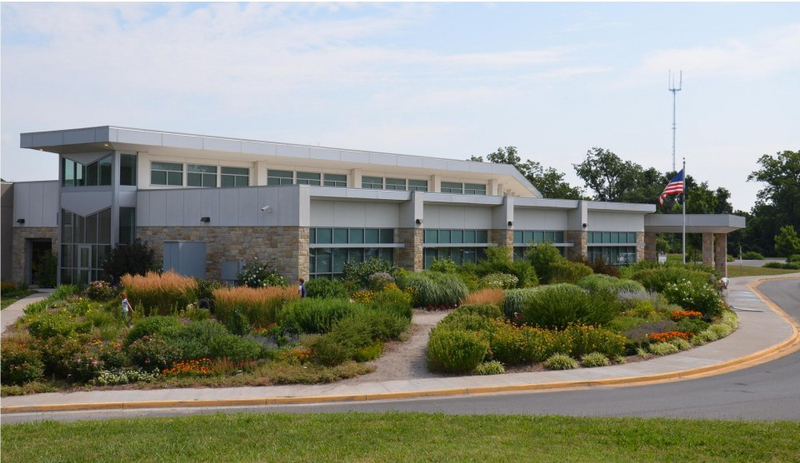 TSi provided full-time construction services including observation and testing of backfill, structure concrete, masonry walls, and roofing systems for this project. TSi served as a subcontractor to perform construction observation and materials testing services for this project. Express Scripts Headquarters is a three- to four-level structure comprised of three wings connected by an atrium with a footprint of approximately 100,000 square feet. measurement of air content and slump and making concrete cylinders for compression tests, and field tests of masonry materials and hot-mixed asphalt pavement. TSi also prepared reports documenting the services performed. The Compton Heights Condominiums and Townhomes are located on the west side of Grand Avenue between Cleveland and Flad Avenues. The development consists of three buildings; two 3-story condominium buildings with nine units each, and a 2-story townhouse building with 12 units. Each of the buildings has lower-level parking. TSi was responsible for the subsurface exploration and geotechnical engineering evaluation for this project. TSi drilled eight 15-foot deep test borings and excavated six to eight test pits at the site. A laboratory testing program was performed on samples recovered from the borings to determine their engineering characteristics. The laboratory tests included visual classification, natural moisture content, dry unit weight, Atterberg limits, and unconfined compression tests. The project culminated with the preparation of a geotechnical study report that addresses the subsurface conditions across the site, laboratory test results, the feasibility of using shallowfootings for building support, the estimated settlement of the foundations, and other considerations. TSi was a member of an engineering team providing construction observation and testing services for construction of the new Busch Stadium. TSi provided a number of quality assurance services for the project, including testing soil and aggregate backfill for compaction; testing of structural concrete for slump, air content, temperature and the preparation of compressive strength test cylinders; and observation of the demolition of the old stadium and reprocessing of demolished concrete for reuse of structural fill. TSi performed initial site development including earthwork inspection and testing services for a new casino complex on the banks of the Mississippi River in south St. Louis County. TSi technicians provided observation and testing for the backfill of excavations as well as placement of up to 10 feet of new fill. TSi was also a geotechnical subconsultant to the prime engineering firm for the three phases of the design and construction of the complex’s casino, hotel, events center and parking structure. 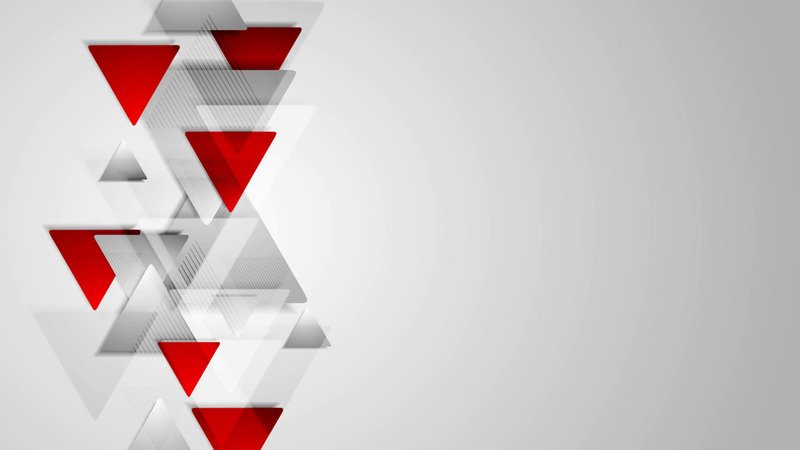 TSi’s services included construction observation and inspection, and lab testing, including moisture content, Atterberg limits, and unconfined compression tests. Client: IKEA Retail Stores Inc.
TSi is providing construction observation services as a subcontractor to another inspection firm for the new 380,000 square-foot IKEA store currently under construction on 21 acres in the St. Louis midtown-Cortex area. The project consists of a two-story store to be built on top of a 1,250-space parking structure. An additional parking lot is being constructed adjacent to the structure on Forest Park Avenue. TSi is inspecting ground improvement conditions during construction of the stone columns. For almost a decade, TSi has performed geotechnical studies and materials testing services for multi-story buildings and industrial structures, large equipment installations, pavement replacements, and parking lots throughout P&G’s 33-acre complex in North St. Louis, where it makes Cascade, Mr. Clean, Febreze and Swiffer products. Deep old fill, loose granular deposits, and high groundwater level typically required deep foundation support for structures, including end-bearing drilled piers with permanent steel casing socketed into limestone. TSi completed non-destructive testing of a portion of the floor slab in Building 83 of the Cascade Plant. The slab was originally designed to have a minimum 28-day strength of 3,000 pounds psi, and there is now a need to support equipment designed for a minimum strength of 4,000 psi. TSi’s testing used a concrete impact hammer to obtain rebound readings that provided an indication of the compressive strength of the concrete. Tests were conducted at four locations on the floor slab where new equipment was to be installed. TSi provided geotechnical investigations and evaluations, and construction services for the new Mercedes-Benz dealership in the City of St. Louis. The 45,000 square foot building, constructed on a small urban footprint, includes a two-level showroom, service area, office building and two-level 380-space parking structure. The parking structure is for presentation of the dealership’s inventory of automobiles as well as parking for customers and employees. Project cost was $13.2 million and includes the demolition of the existing building on the site. As part of TSi’s on-call, indefinite-delivery contract with St. Louis Community College, TSi provided concrete coring to determine and evaluate the slab condition at a location on the Forest Park campus. TSi completed a subsurface exploration and geotechnical engineering evaluation for the development of the new 136-bed, three-story Hilton Garden Inn in NorthPark. Services included borings, laboratory testing of soil and rock samples; seismic parameters; earth pressure parameters for the design of retaining walls; estimated time rate and magnitude of fill settlement; estimated CBR value for pavement design on the subgrade soils; influence of groundwater . TSi prepared a final report that described the exploration procedures used, exhibits the data obtained, and presents TSi’s evaluations and recommendations relative to the geotechnical engineering aspects of the project, including excavation and site grading considerations. TSi provided geotechnical engineering, drilling and laboratory testing services for an 8-acre site redevelopment of a former car dealership into a new claims processing complex. The first new building will be a 51,000 sq. ft., three-story structure to include an education center, cafeteria and 6,500 sq. ft. daycare center. TSi’s subsurface investigation included 13 borings to 30 feet deep for this new building, parking and retaining walls, as well as for future buildings. TSi completed a geotechnical engineering evaluation and presented a final report that included geotechnical recommendations for the design and construction. TSi completed the geotechnical investigation and recommendations report for use in the design and construction of the new $20 million College of Business Administration Building at the University of Missouri-St. Louis campus. The project site is located north of the existing Express Scripts Hall (ESH) in an area where the topography slopes downward relatively steeply to the north and west. The proposed building will be a three-story structure, with the lower level exposed on the north side but below grade on the south side in consideration of the sloping ground surface. A below-grade tunnel and an at-grade walkway with canopy will connect the new structure to ESH. In plan view, the building shape will be an irregular steel frame structure with brick veneer, with dimensions of approximately 75 by 230 feet. Column loads of up to approximately 350 kips are anticipated. Based on the column loads and the moderately compressible soil encountered at the site, the building will be supported by drilled shafts socketed into the sandstone bedrock, the surface of which averages about 20 feet below the ground surface. TSi provided geotechnical data and assessment for the use of the design and construction of the $17 million one-story addition to Marillac Hall. Marillac Hall houses the College of Education and the College of Optometry. The new addition is approximately 1,200 square feet in plan for a slab-on-grade structure. TSi drilled three borings, performed lab testing, and completed an evaluation report based on the results. 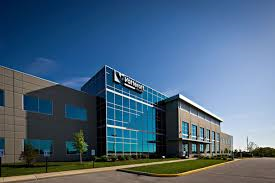 TSi has been involved with the planned development of NorthPark, a premier business park in North St. Louis County since its inception in 2006, and a member of the team for most of the projects completed to date. TSi was initially hired by the development partnership to perform a geotechnical study for the 300-acre site, a former residential neighborhood. TSi completed 95 test borings and 75 test pits, and provided recommendations for the design of retaining or below-grade walls, seismic considerations, and stormwater detention areas. Of particular concern was the time rate and magnitude of settlement resulting from placement of up to 50 feet of fill in a 10-acre ravine; TSi prepared plans and specifications for the installation of wick drains to expedite that settlement so that construction could begin. TSi provided materials testing services for the construction of a state-of-the-art, “Green”, 10-story, 206,000-square-foot facility on a 9-acre site. The $82 million building is connected by a covered walkway to the School of Medicine. This research facility had been designed as a place where scientists can research discoveries in the areas of cancer, liver disease, heart/lung disease, aging and brain disease and vaccine development. TSi observed the installation of drilled pier foundations including verification of limestone bearing material and the placement of steel reinforcement and concrete. TSi also observed and tested the placement and compaction of fill and backfill, and performed quality assurance testing of concrete for the fundations and structures. TSi was also a subconsultant to the prime engineering firm for the three phases of the design and construction of the complex’s two-level casino; seven-story, 200-room hotel; 14,000 square foot events center, and a covered, five-story, 1,600-space parking structure. The casino was constructed on a series of floating barges within a basin in accordance with State of Missouri casino regulations. TSi completed laboratory testing services, including moisture content, Atterberg limits, and unconfined compression tests. TSi also provided an OSHA, 40-hour trained driller’s helper. TSi also provided construction services including observation, testing and inspection for the parking structure. new office buildings of 700,000 square feet combined, 340 surface parking spots and a 1,583-space parking garage. TSi provided geotechnical engineering services for the 10-year, $4.45 billion development of a Cerner’s office campus on a 237-acre property, which includes the sites of the former Bannister Mall and Benjamin Plaza. TSi also provided drilling, construction inspection and materials testing services as a subconsultant to another geotechnical engineering firm for the first phase of 578,500 square feet of office space in two buildings, and a service center. TSi utilized two drilling rigs on site and performed over 60 borings. When completed, the campus will have 4.7 million square feet of construction in 16 buildings to house 16,000 new Cerner workers. TSi provided inspection and testing services for the design and construction of One Light Tower, a new 25-story residential high rise with 311 units and 14,000 square feet of retail space. TSi provided special inspection services for the drilled pier construction, and field and laboratory concrete testing for the entire structure. At about 230 feet, it is the tallest residential building ever built from scratch in downtown Kansas City. TSi provided special inspection services on the St. Michael’s Veterans Center Residential Building. This innovative project provides permanent apartments and supportive services designed to meet the needs of the homeless veterans in the Kansas City region. The $34 million project contains 180 units, service offices, \and recreation areas on its 24-acre campus. TSi provided geotechnical engineering, construction observation and materials testing services for development of the former 1,340-acre Richards-Gebaur Air Force Base, which includes an industrial park and an intermodal logistics park. TSi also provided services for the first building, a 750,000-square-foot industrial/ warehouse building in the Intermodal Center site. TSi conducted a subsurface excavation and completed laboratory testing on the recovered soil samples. TSi’s geotechnical report included foundation recommendations for the building, and provided special inspections for the rough grading of this structure. Responsible for subsurface exploration for apartments in the River Market area in Kansas City. The site was a former rail yard and was adjoined by a large steep slope. Performed slope stability calculations and a slope stabilization plan consisting of several auger cast piles to stop potential slope failures. Provided recommendations for shallow, intermediate, and deep foundations, site preparation, and slab-on-grade. 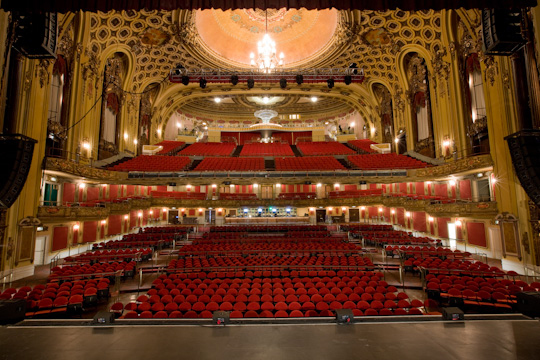 TSi provided special inspection services for the renovation of the historic Midland theatre and the adjacent Loft Building in downtown Kansas City. The project presented many engineering challenges including establishing the structural properties of the building’s structural steel frame, adapting designs to unexpected conditions encountered during demolition, and concerns to avoid damage to the building’s ornate plaster walls. TSi provided construction inspection and materials testing services including evaluation of foundation bearing conditions; testing of concrete, structural masonry, and topping slabs; observation of installation of bolts and dowels into existing concrete and steel; welding of structural steel, and fireproofing application. TSi provided construction observation and materials testing services for this 5,800 seat hockey arena. Services include monitoring and testing earthwork, observing installation of auger-cast pressure-grouted piles, laboratory testing of the pile grout, observing and completing field and laboratory testing for concrete, inspection erection of pre-cast concrete, and completing field and laboratory testing of fireproofing and masonry. TSi provided construction observation and materials testing services for infrastructure improvements within the existing Zona Rosa mixed use center in northern Kansas City, as well as for the development’s second phase. Services included evaluating fill materials for use as structural fill; testing backfill of storm sewer, sanitary sewer, and water line excavations; evaluating subgrades for new roads and widening of existing roads, and testing pavements of Portland cement concrete and asphaltic cement concrete. Geotechnical challenges included presence of soft, wet clay soils, for which TSi provided recommendations. TSi provided construction observation and materials testing services for the construction of a new single-story community center with high ceilings in the gymnasium area and spread footing foundations. The primary geotechnical challenge on the site is the presence of expansive clay soils. TSi prepared engineering evaluation in two phases for this reconstruction, as the existing 100-unit, multi-story, affordable housing community, Hampshire Terrace, was destroyed in the 2011 Joplin tornado. When TSi arrived on site, the land was cleared and relatively level. There was a layer of debris fill at the surface, and some areas had low vegetation. 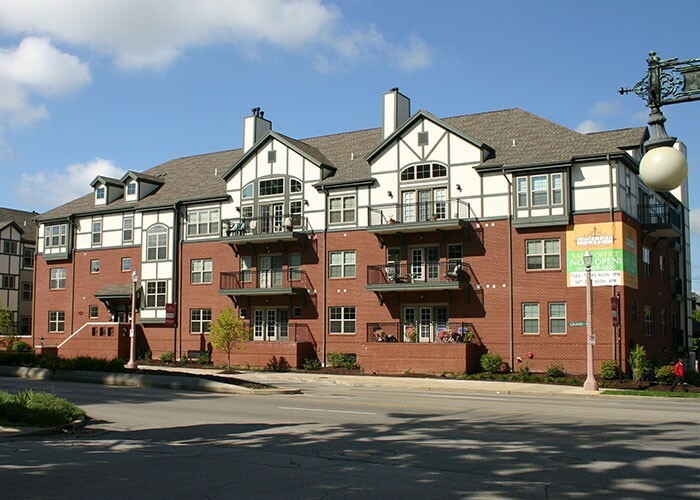 The new apartments consist of six multiple unit buildings, a clubhouse, and a parking lot. TSi provided geotechnical engineering support services for the new Hollywood Casino Complex adjacent to the Kansas Speedway in Kansas City, Kansas. The project included a 300-room hotel; 275,000 square feet for retail, dining and entertainment venues, and 100,000 square feet of meeting/convention space. Working as the MBE partner to the primary geotechnical engineering firm, TSi provided subsurface exploration, laboratory testing, and geotechnical engineering services for the casino and adjacent parking garage. TSi provided construction observation and materials testing services as a sub-consultant for the construction of the Arts Center in downtown Kansas City. TSi provided detailed technical analysis of the drilled pier foundations that support the additions and renovation of Arrowhead Stadium. TSi used the LPILEplus program to evaluate the lateral load capacity of the drilled pier foundations. The analysis was used to reduce pier sizes, eliminate need for drilled piers in some areas, and to minimize the reinforcing steel needed within the drilled pier foundations. The highly variable subsurface conditions across the site and the very heavy foundation loads added to the complexity of the analysis. TSi provided field support for the preliminary subsurface exploration for the prime geotechnical firm for the Schlitterbahn Vacation Village project in Kansas City. TSi’s role was to log borings, process soil samples, and direct the drilling crews in the field for this preliminary phase of the work. After the water park was completed, TSi provided construction observation and materials testing for thefairgrounds and parking. TSi has completed drilling and will soon be providing inspections and materials testing for the new adjacent building being built in a vacant lot, as part of the redevelopment of the Kansas City Power & Light Building. The new structure will include a parking garage and 58 luxury apartments as well as a saltwater pool, spa, fitness center and conference room for residents. 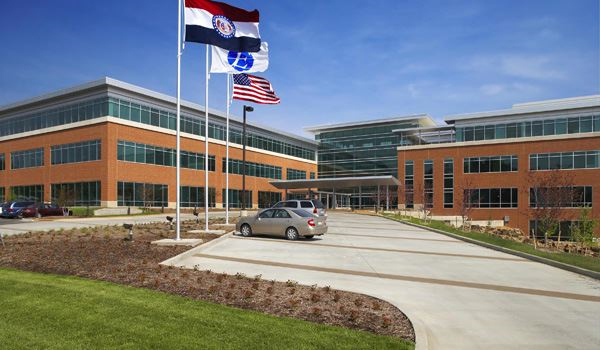 TSi provided subsurface exploration and geotechnical engineering services for the design and construction of this new healthcare center in Kansas City. The structure is a two-story, 40,000-square-foot building. TSi professional staff provided 16 borings at the project site as well as a laboratory testing program. TSi prepared a geotechnical study report.